This is just a quick update to show some of the other screens that I class as console screens; these are the game start, intro, and the pre-transfer game screens. 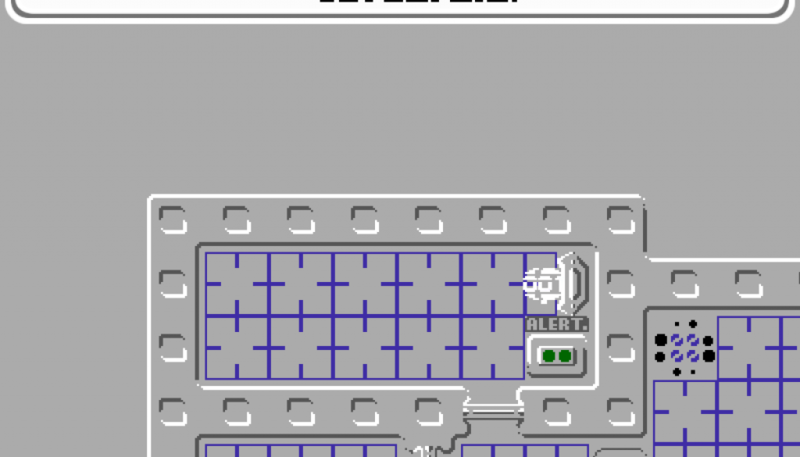 These screens were done in a very similar way to the console screens from the previous post where a Game Maker surface is used to display the text and the droid sprite in the console area. 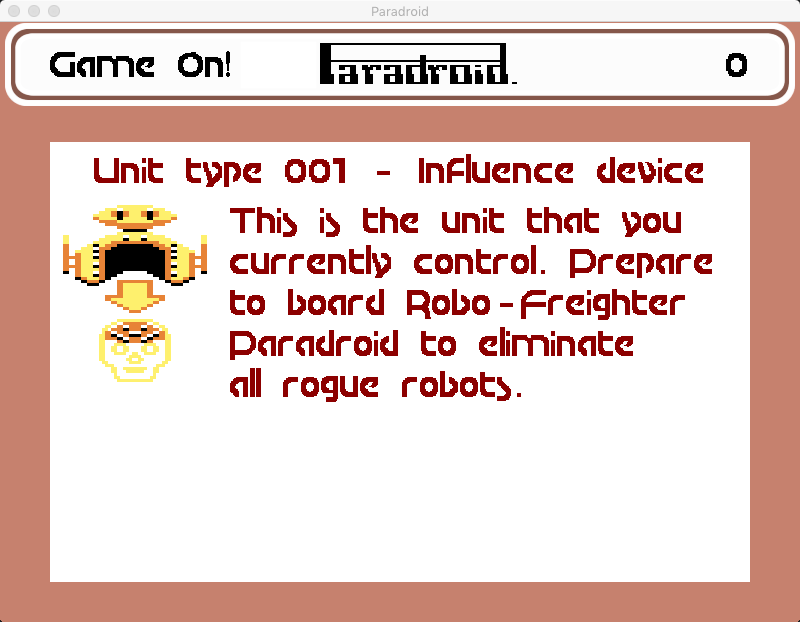 This is the screen very similar to the original, where the game introduces you to your Influence device and tells you the name of the Dreadnaught that you are entering to deal with the rogue droids. When you successfully complete a Dreadnaught you will see the current droid you are controlling, and the name of the next Dreadnaught. Here’s the list of all eight Dreadnaught’s in the game – all the same as the original game. 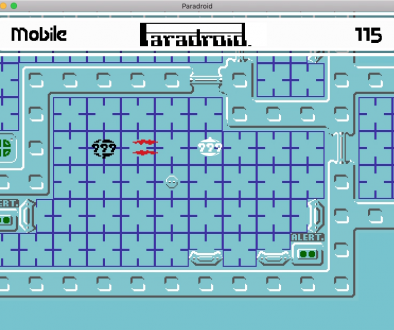 Naturally, the game will be balanced to make each one get a little bit tougher for you. The following screens are shown before you play the transfer game. These show both the current droid you are controlling, and the droid you hope to gain control of. 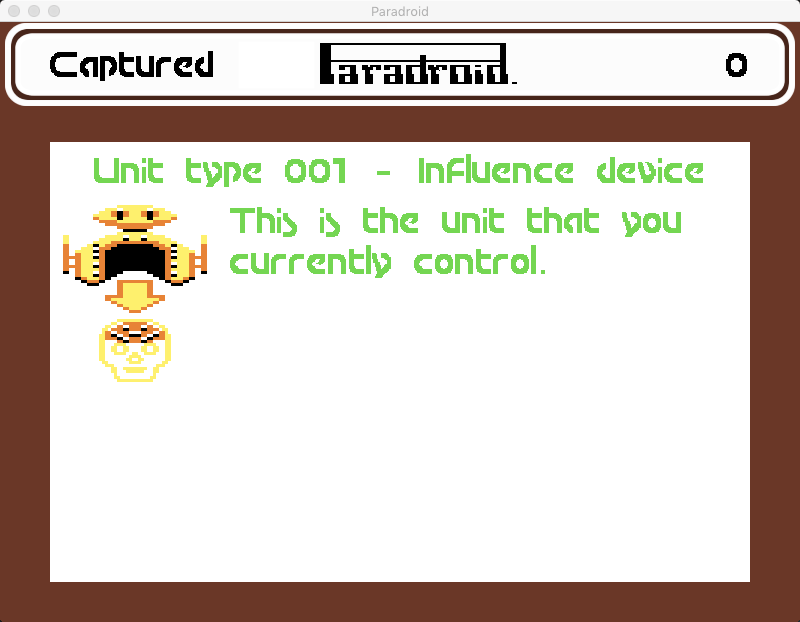 Just as a side note: the font used in all the console screens and the main game has been created by me based on the original C64 font and the one used for Paradroid 90.